SKIER ABILITY: Beginner, Intermediate, Advanced or Expert—think of it as how runs are marked. If you mostly ski greens and blues, consider yourself a Beginner; blues and some blacks, Intermediate; blacks, Advanced; and if you can ski everything and beyond that a big area like Marmot Basin offers, Expert. WEIGHT: Light, medium or heavy—the more a skier weighs, the less strength it will take to flex a ski. 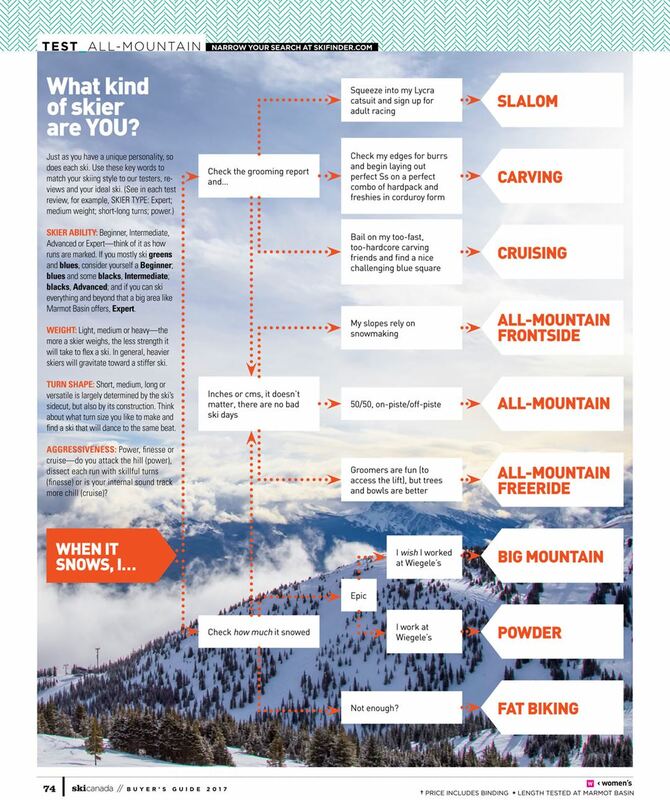 In general, heavier skiers will gravitate toward a stiffer ski. TURN SHAPE: Short, medium, long or versatile is largely determined by the ski’s sidecut, but also by its construction. Think about what turn size you like to make and find a ski that will dance to the same beat. 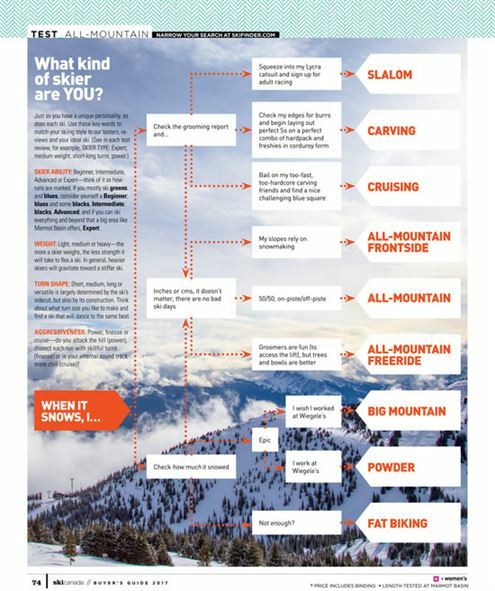 AGGRESSIVENESS: Power, finesse or cruise—do you attack the hill (power), dissect each run with skillful turns (finesse) or is your internal sound track more chill (cruise)? 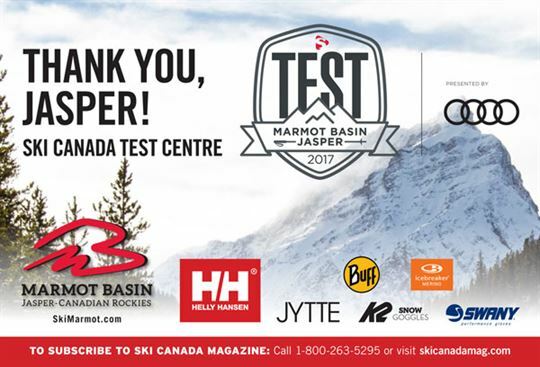 Ski Canada Test results from past years here and on SkiFinder. Use SkiFinder to input your skiing characteristics and find the best ski for you using Ski Canada Test reports. Also available as a mobile app via iStore and Google Play.